Kingmaker: In game theory, a kingmaker is a player who lacks sufficient resources or position to win at a given game, but possesses enough remaining resources to decide which of the remaining viable players will eventually win. Reid Carlberg posted on Twitter today a link to a speaker at the IBM Impact Unconference. James Governor speaks to the room about how “developers are the new kingmakers”. Then, the last 3 minutes totally nailed it home. I have been so fortunate in who I’ve known, who I’ve worked for/with, and what I have been able to do throughout my career where all eyes have always been on the prize. That said, there are a lot of people I know that are working in technology *jobs* where they are pigeon-holed or brow-beat into just contributing to some exec’s grand view of something. Stress, the feeling of hopelessness or being trapped in their current job drags on you, your family, and your friends more than you realize. Even those who aren’t primarily in technology need to really stand up here, watch the video, and take notice! This couldn’t be more valid today. We are DEEP in a new world of technology, promise, and hope. The technology work environment of the 90s and honestly even the early 2000s was “big machine, big project, big code, big <insert buzz word here>. The tools and technologies available back then while awesome – are tiny and weak in comparison to the tools and technologies of today – and those of today are going to be tiny and weak in comparison to those of tomorrow. There’s the old adage that “as soon as I buy a computer, it’s obsolete as soon as I get it home”. To be honest, it was obsolete as soon as it rolled off the assembly line – but the same is true of any skill, especially today! Look at what technology has really come to the mainstream in the last 5 years – Google, Facebook, Amazon, Netflix, Microsoft’s XBOX line, I could go on and on. Did any of this exist in their present form 5 years ago? No. Are they going to exist in their present form even a year from now? Absolutely not. There has always been this mystical cloud around technology. People who aren’t in technology right now just see it as a near vertical learning curve that requires tens of thousands of dollars and going back to college for years to gain any foothold. Even those people who are in the field are tentative about learning new languages and approaches out of fear that they won’t be regarded as “the expert” anymore or even the more ridiculous “some guy on a blog said that (language A) is horrible compared to (language B)”, or even worse “(insert language name) isn’t for REAL programmers.” WHAT A LOAD OF BS. Worse yet – at least in my experience, it’s nearly impossible to dislodge that crap from someone’s head once they hear it…even if they heard it from some random blog somewhere. All you have to do is take that leap, take a weekend away from everything that draws your attention and give it back to yourself. Talk to your peers, get on some blogs and find out where people aren’t just making great money – find out where people are making great money AND ENJOYING EVERY MINUTE OF IT. Once you find that thing – dive in. If you find out that you don’t like it, don’t give up hope – find the next thing! You’ll eventually find something, I promise! 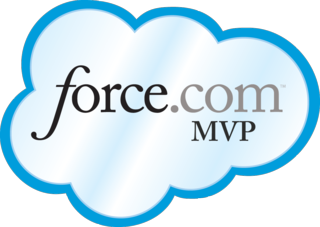 I was incredibly fortunate to come across Salesforce. I have been able to take my love for figuring out puzzles and creating awesome things and apply it to an area where 1) a platform exists to answer most questions without code, 2) what can’t be answered without code can be done so without having to worry about if a server is up or not, and 3) what I can’t figure out – an incredibly active and forthcoming community exists and helps at the drop of a hat. So why this long rambling post? Yeah, you’ve read a lot – some of it may have made sense, maybe none of it you think applies to you. This blog is aimed at those of you who want more; those of you who may feel stuck in your current lot in life and don’t think you could ever take advantage of the amazing levels of personal gratification and honestly – cash – that comes with being involved with and being good at technology. Right now, I know of over 50 positions for different kinds of developers that people ask me if I know of anyone looking for a cool opportunity. Local, remote, relocation, you name it – the kicker is that either the people I know are 1) truly happy where they are at, 2) don’t think they could do it would take to make a move, or 3) still have the “I’m thankful to have ANY job” mentality. I don’t want to offend those of you who are un/under-employed, but there are a few people that I’ve had conversations with who have been looking for work for over a year – or those who are underemployed doing things they never had a single thought they’d ever be doing to feed their families. Technology is so embedded in every single thing we do – I struggle to think of ANYTHING that anyone does that modern technology didn’t have an effect on in one way or another. We live and breathe technology – if you think you can’t do it, you’re just flat wrong. You are so much more valuable and talented than you are giving yourself credit for. Are you going to be an ace developer in 6 months? No. Could you potentially have the skills to get your foot in the door? Without a doubt. Get out there and learn – meet people, go fast, fail fast. Either one of those mindsets, let alone having both – are just motivation killers. Everyone fails. Honestly, I hope to fail every single darn day of my life – that’s the ONLY way that we learn. If we never failed, we’d never take risks, and it would take FOREVER to get anything done. Think about it – how many times have you failed today? I put my shirt on backwards this morning because I was in a rush – that’s an example of a fail. (abeit a strongly abstract one). What counts is how you react to it, learn from it, and make something even better than what you were thinking of originally. “Move fast and break things” has continued to drive the company’s evolution. Instead of extensively focus-grouping new features, Facebook just rolls them out. Then it listens to users’ screams and makes modifications as appropriate. This technique has produced a lot of duds. It has led, on many occasions, to Zuckerberg having to apologize to his users. It has also produced some of the features that, in the minds of users, today are Facebook—such as News Feed. What the critics miss when they blast Facebook for “mistakes” is that the process is deliberate. And it works. That’s exactly it – the world goes SO fast now and so many cool and exciting new technologies are constantly being rolled out, improved, and enhanced – you can’t apply the same old approach of “never fail” to this new world. Get out there, learn something you haven’t done before, make it better. Rinse and repeat.